This should have been the year when Peugeot were crowned kings of the sportscar world. In 2008, the French manufacturer did what no one else has done this millennium, and produced an LMP1 car that consistently left the category benchmark Audi team trailing, without the aid of the rules quirks and politics behind previous fleeting interruptions of Audi's dominance. There was no doubt that the 908 HDi FAP was the fastest prototype of the season, a clean sweep of pole positions and victory in 80 per cent of the championship rounds proved that. Yet despite their clear speed advantage, Peugeot still managed to let the championship slip from their grasp in an unbelievable finale at Silverstone, as Audi stole the drivers' and manufacturers' titles from under their faster rivals' noses. In fairness to Peugeot, the combination of a short championship with a consistency-biased scoring system and four cars head and shoulders clear of the pack meant that any slight slips were always going to be heavily punished. But ultimately, the main reason for Peugeot's galling last-gasp defeat was the catastrophic series of errors their crews made at Silverstone, allowing Audi's junior duo Mike Rockenfeller and Alexandre Premat to become champions despite failing to win a race. Peugeot's superiority was obvious from the moment the series began, with even Allan McNish 1.5 seconds off the pole-sitting 908's pace in qualifying for the Catalunya season-opener. Peugeot's Nicolas Minassian and Marc Gene then took a comfortable victory, although good pit-work and heroic driving kept McNish and partner Rinaldo Capello in contention until an alternator belt broke. With the Stephane Sarrazin/Pedro Lamy Peugeot involved in a series of traffic tangles, the junior Audi claimed a distant - but useful - second. The same result in round two at Monza put Rockenfeller and Premat into the championship lead, but they could feel justifiably aggrieved about missing out on victory in Italy. Leading into the closing laps thanks to Audi's strategy, Rockenfeller came off second best in a wild duel with Lamy that at times looked more like a 1980s Formula Ford shoot-out than an endurance race. A tangle at the first chicane with nine laps to go left the Audi with a puncture - which delayed it just enough to allow Lamy to serve the penalty he had received for passing Rockenfeller under yellow a few minutes earlier, and still emerge victorious. Minassian and Gene were out of luck this time, losing a likely win to driveshaft failure, while McNish and Capello admitted their title hopes were over already after a vast accident for the latter. Remarkably, despite Capello flying down the back straight and mangling three corners as he bounced off the barriers, Audi got the car back in the race in less than 15 minutes! Even by their incredible standards, this was a staggering achievement. McNish managed to split the Peugeots in qualifying at Spa, but couldn't match their race pace and then fell right out of contention when Alex Wurz - joining Lamy and Sarrazin in preparation for Le Mans - misjudged a move in traffic and collected Capello on his way to the barriers. Already safely ahead of the trouble, Minassian and Gene (plus guest co-driver Jacques Villeneuve) collected another win, with the Rockenfeller/Premat Audi second again. Peugeot went into the mid-season break sharing the points lead with the No.2 Audi, and then had the added blow of being beaten by their arch-rivals in the Le Mans 24 Hours, but they steadied their nerves by absolutely blitzing the field at the Nurburgring, as Audi were desperately off the pace on their home ground. That gave Minassian and Gene, who finished second to their teammates in Germany, a two-point advantage heading to the Silverstone decider. It was a slender margin, but one that should have been sufficient given that they were up against a slower driver pairing in a slower car. But little over an hour into the race, Peugeot's season had collapsed in a pile of mangled 908 bodywork. Minassian, who had already been involved in a qualifying tangle and spun on the first lap, clipped a GT2 car and crashed heavily, effectively handing the drivers' title to the Audi pair. To add to Peugeot's despair, at the restart following the shunt, Sarrazin's decision to try and drive around the outside of Capello at Copse caused another costly collision, and gave Audi the manufacturers' and teams' crowns as well. These weren't unforced errors, though. A key factor in Peugeot's implosion was that McNish in particular was putting the 908s under more pressure than ever before. That caused nerves to jangle in the Peugeot cockpits, even though the No.1 Audi's Silverstone result would have been irrelevant to the title battle, Minassian and Gene needing only to finish one place behind Rockenfeller and Premat to take the championship. But instead, spooked by the lead Audi's pace, they finished the weekend in the barriers. Peugeot may have dropped the title, but Audi pushed them into doing so. That McNish and Capello then overcame a two-and-a-half lap deficit after the Sarrazin incident to win (by two laps) at Silverstone was an entirely appropriate end to the season - although their early-season disasters meant it was Rockenfeller and Premat, who scraped fourth after suspension problems and a penalty, who actually took the drivers' title. This epic season was the first time since the FIA GT Championship's brief late-1990s heyday that two powerhouse manufacturer teams had mounted a season-long head-to-head in European sportscar racing, and the thrilling racing and spectacular denouement was a superb advertisement for the endurance discipline, with a healthy crowd of 40,000 at Silverstone to see it. It was a far cry from the Peugeot walkover of 2007, but Audi's decision to pull out of the LMS next year is an ominous sign, for unsurprisingly none of the other LMP1 teams were a match for the two big-budget, diesel-powered manufacturer teams. 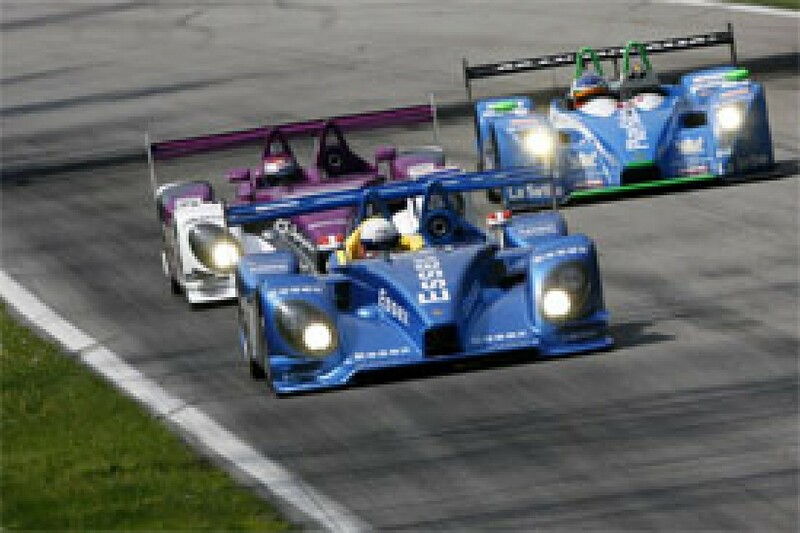 The Charouz team's Lola-Aston Martin was the standout petrol car and was often quick enough to get amongst the Audi R10s in qualifying and during the early laps. It even led briefly at Monza and could have benefited from the Audi/Peugeot carnage to win at Silverstone but for contact in traffic. The car's success led to suggestions that a factory Aston LMP1 programme might be on the horizon, although current global economics now make this less likely. ORECA Courage also showed a great deal of promise, although their season will probably be best remembered for Stephane Ortelli's horrific aerial accident at Monza. 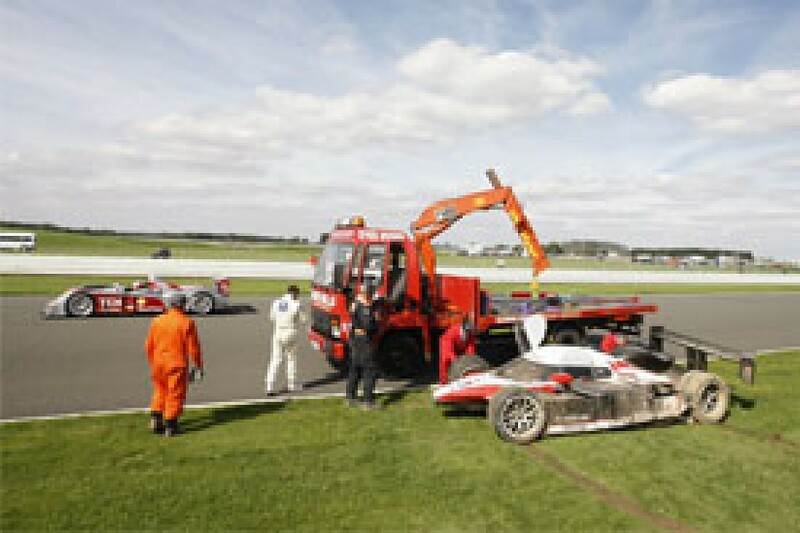 The crash left the former Le Mans winner with a broken ankle, but could have been far worse had his flying car nosedived onto McNish's Audi, as it so nearly did. The team, and drivers Olivier Panis and Nicolas Lapierre, bounced back in style by coming from last to third overall at Spa a few weeks later, and Ortelli was fit enough to rejoin the team by the Nurburgring. Charouz and ORECA's speed overshadowed one-time European LMP1 pace-setters Pescarolo and Creation, and the rest of the LMP1 pack just made up the numbers, with the alluring Epsilon Euskadi too new to be a factor this season. LMP2 champions Verschuur/Van Merksteijn Porsche regularly finished among the petrol LMP1 cars, as the Dutch team and drivers Jos Verstappen and Peter van Merksteijn made a fine transition to prototype racing. Verstappen was invariably the LMP2 benchmark, but his car-owning co-driver didn't disgrace himself and would have shared the title had he not missed the Nurburgring to take part in Rallye Deutschland. The three Porsche teams predictably dominated the LMP2 standings on the car's European debut. Team Essex sometimes pushed Verstappen/van Merksteijn and won when the Dutch crew tangled with a GT2 Porsche at Spa, while the Horag Hotz car was a class podium regular but not a victory contender. It wasn't all about the Porsches, though. Speedy Sebah showed the closed-top LMP2 Lola's potential on occasion, and former class champions RML's late-season switch from their ageing Lola-MG to the latest Coupe bodes well for their 2009 campaign. The Embassy squad's WF01 also started to come good towards the end of the year, only for the owners to pull the plug on the project during the winter as the recession bit. GT1 is waning worldwide and the LMS was no exception, with only four entries at most rounds. The Modena Aston Martin was normally the car to beat in Tomas Enge and Antonio Garcia's hands, but technical gremlins in two of the three pre-Le Mans rounds left them playing catch-up to the more consistent Alphand Corvette crew. Ultimately Guillaume Moreau and Patrice Goueslard's lead was too great for Modena to overcome. The tiny entry helped Alphand a great deal, particularly at the Nurburgring where their Corvette collided with a prototype and lost 32 laps, yet still finished second in class. Modena needed the IPB Spartak Lamborghini to take points off Alphand, but the Lambo came good too late, scoring a surprise pole at the Silverstone finale. Rob Bell retained the GT2 title for Virgo Motorsport after an outstanding season. The Briton and teammate Gianmaria Bruni's Ferrari normally had the legs of the opposition, but had to dig deep to beat Felbermayr Porsche's Marc Lieb and Alex Davison to the championship. 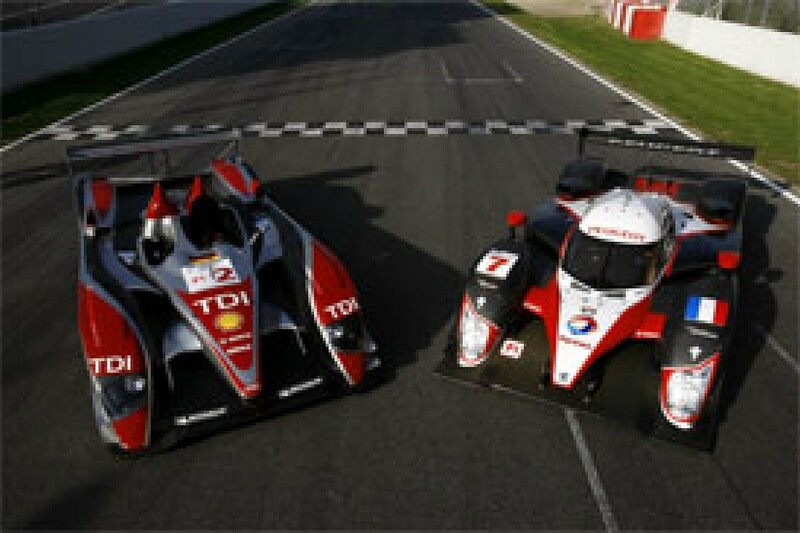 The Ferrari won in Spain, but only after hunting down and re-passing the Porsche following a clash with an LMP1 car. Both then had a torrid time at Monza, although Felbermayr at least salvaged a few points, before Bell pipped Lieb in a titanic last-lap scrap at Spa. But Virgo's greatest achievement came at the Nurburgring, where a practice fire wrecked their Ferrari 430 and looked set to rule them out of the weekend. A Herculean effort got the repaired car into the race, and within half an hour Bell had come from the back of the grid to the class lead. Virgo went on to dominate, as Felbermayr were hampered by Michelin's choice of rubber for the event. A similar outcome (minus the fire) at Silverstone helped Bell clinch the championship, taking the crown alone as clashing FIA GT commitments forced Bruni to miss the finale.